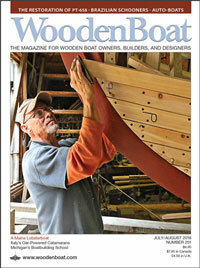 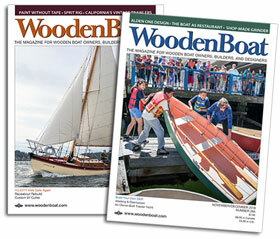 In WoodenBoat No. 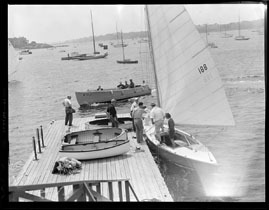 252, Editor Matt Murphy explores the work of Leslie Jones (1886–1967), a staff photographer for The Boston Herald Traveler from 1917 to 1956. 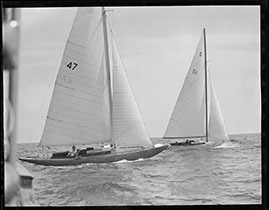 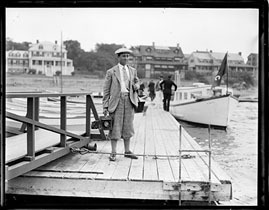 Jones had a particular interest in yachting, and covered racing at Marblehead, 20 or so miles northeast of Boston, throughout his career. 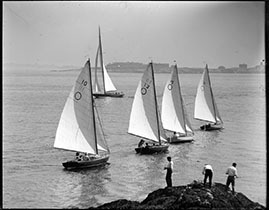 His photographs are cared for by the Boston Public Library and are archived online at Digital Commonwealth, a collaborative cultural heritage institution representing more than 130 Massachusetts libraries, museums, historical societies, and archives. 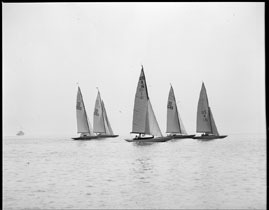 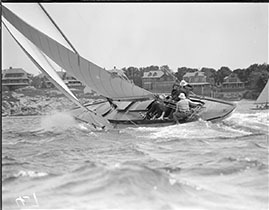 The 1929 International Races: Elizabeth “Sis” Hovey Sailing Her 30-Square-Meter sloop, ORIOLE. 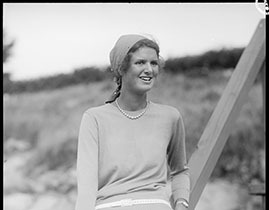 The 1929 International Races: Sis Hovey, at Age 19. 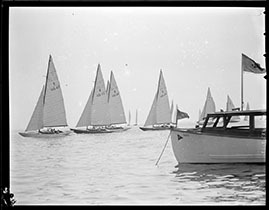 The 1929 International Races: GLUCKAUF V (G-50), HATHE (G-48), and KICKERLE (G-53) with American competitors. 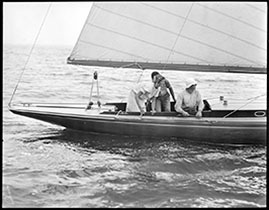 The 1929 International Races: The Victorious Swedish 30 Sqaure Meter BACCHANT. 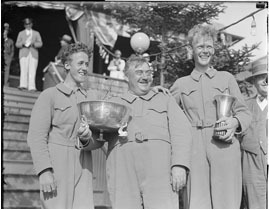 The Winning Swedish Crew at the 1929 International Series. 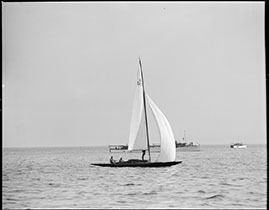 The Q-Class Sloop CARA MIA. 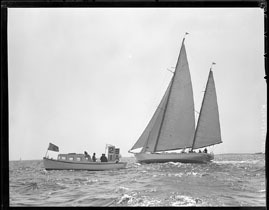 The 210-class Sloop BANTRY, with Skipper Don McNamara on Deck. 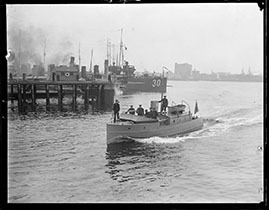 The Power Cruiser PANTHER, Saviour of Many Stranded Sailors. 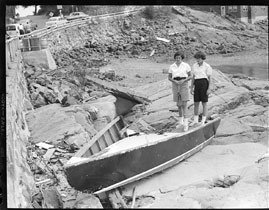 The Aftermath of Hurricane Carol: The Ketch MOHAWK. 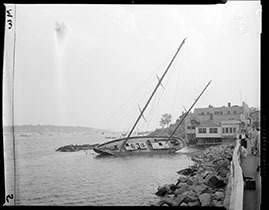 The Aftermath of Hurricane Carol: A 210-Class sloop. 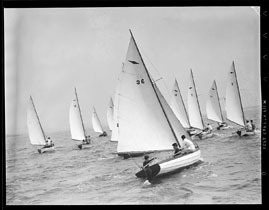 Ted Hood in the IOD PRINCESS. 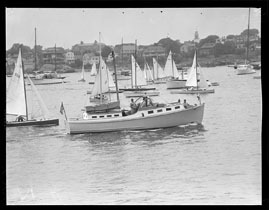 The Savage Squall of July 4, 1928: The O Boat Fleet. 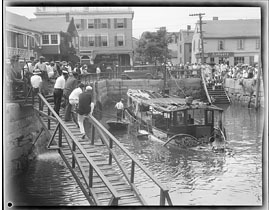 The Savage Squall of July 4, 1928: The sinking of the Motor Yacht PIRATE.